See how to fix touchpad in Windows 10 powered laptops. Windows 10 upgrade is gaining momentum with every passing month. Its been just over a year since Microsoft launched its brand new operating system, the Windows 10. If you haven’t yet upgraded to Windows 10 from Windows 7, Windows 8 / 8.1, XP or Vista, you can do so by manually upgrading to the latest Windows 10 OS by creating a bootbale USB drive and use Windows 10 ISO image files to upgrade your device to Windows 10 OS. However, upgrading Windows 10 on PCs with older hardware could result in certain elements not working properly. One the main issues that many Windows 10 users have reporting after upgrading to Windows 10 includes Touchpad issue in Windows 10. There are a few ways of fixing Touchpad problem in Windows 10 laptops. But first you need to know what might be causing the issue in the first place. 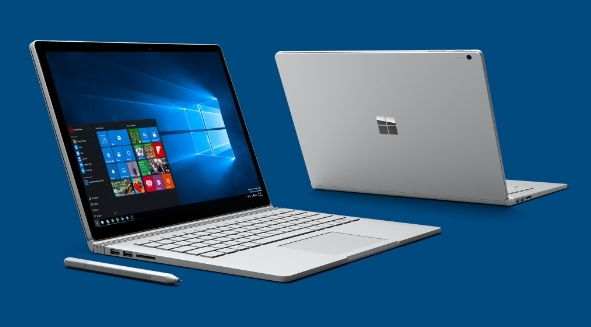 Windows 10 Touchpad issues could arise because of outdated drivers for your laptop touchpad. Windows 10 upgrade could render current drivers obsolete, or isn’t compatible with them. If you touchpad scrolling or tapping is not working after Windows 10 upgrade, and are searching for solutions, you are at the right place. See the steps below to fix Touchpad and enable it on Windows 10 laptop. 3 – Now click Mice and other pointing devices in Device Manager’s list of hardware drivers. 6 – You can choose to update manually by loading the drivers file saved on PC or select automatic update after which it will scan the internet for latest available drivers for your laptop’s touchpad. You can also search for the latest touchpad drivers from your device’s manufacturer website. Most PC manufacturers regularly upload updated drivers on their websites. But before installing the new touchpad drivers, you need to uninstall old touchpad drivers from your device. Here’s how to uninstall older drivers to make way for the newer ones. All done. Touchpad should be back to normal working condition on your Windows 10 laptop. If you’re still facing issues with touchpad on Windows 10 laptop, ask use for assistance in the comments section below.